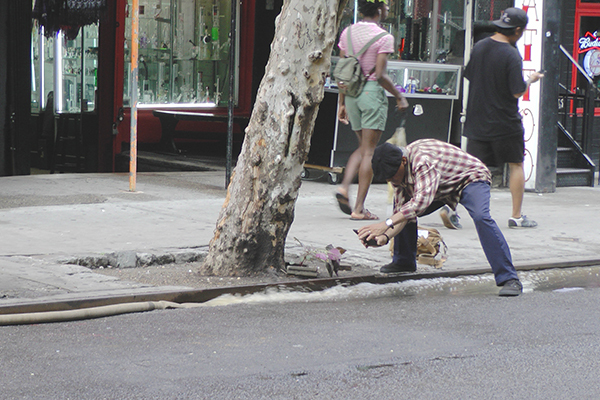 I was walking across St. Mark's Place yesterday evening, passing by the construction work taking place there, when I saw this photographer taking a picture of… water gushing out of a hose! Water gushing out of a hose. Nothing excites an East Village photographer quite like the effluvium of a construction site! i think that person is taking a selfie, and trying to get something in the background?